PART of the unique French metre-gauge Chemin de fer touristique de La Mure is being rebuilt ready for operation. In late June the regional government signed a concession contract to repair a section of the line at a cost of €26million and then operate it for 30 years with French group Edeis. From summer 2020 the 15km route from La Mure to a new viewpoint station near Monteynard should have nine train pairs daily from April to October. The line once operated south of Grenoble, using electric locos built in the 1930s, offering tourist train rides in the scenic mountain region. The line had originally been built in the 1880s primarily to transport coal, but also passengers, and was electrified in 1902 at 1,200V DC (increased to 2,400V DC from 1952). 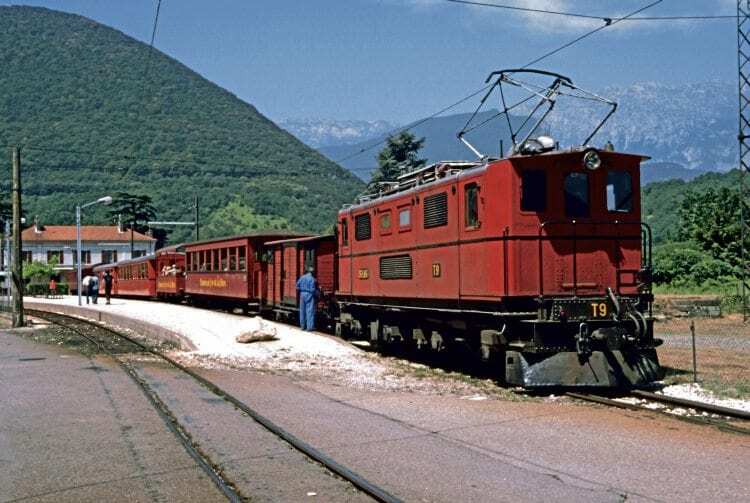 Regular passenger services ended in the 1950s and coal transport ceased in 1988, although by then the operation of summer tourist trains had become a regular event; these carried on between St Georges de Commiers and La Mure even after all the mines had shut. A huge landslide in 2010 destroyed a viaduct and led to the closure of the line.